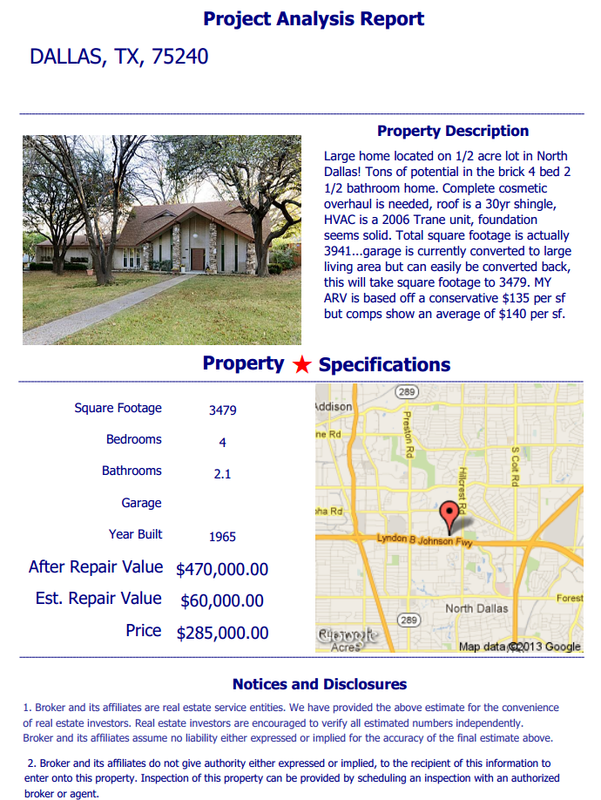 American Wholesale Property: North Dallas High End Flip!! North Dallas High End Flip!! Large home located on 1/2 acre lot in North Dallas! Tons of potential in the brick 4 bed 2 1/2 bathroom home. Complete cosmetic overhaul is needed, roof is a 30yr shingle, HVAC is a 2006 Trane unit, foundation seems solid. Total square footage is actually 3941...garage is currently converted to large living area but can easily be converted back, this will take square footage to 3479. MY ARV is based off a conservative $135 per sf but comps show an average of $140 per sf.